"Babis is not the Kremlin's guy," Ondrej Kundra, who's written extensively on Babis, told the BBC. "On the other hand, he's also not very pro-EU. He is somewhere in between," added Mr Kundra. The man dubbed the Czech Republic’s Donald Trump is set to become the country’s prime minister. Populist billionaire candidate Andrej Babis and his party have won the Czech Republic’s general election. 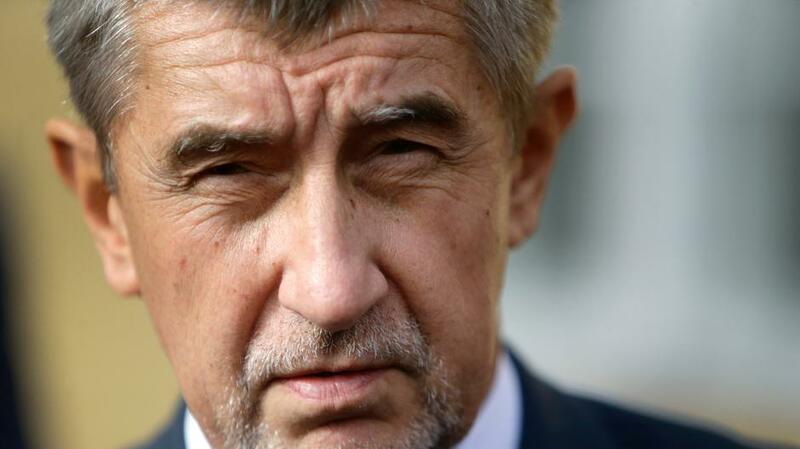 Mr Babis, 63, is now the main contender to become prime minister after coalition negotiations. He is the country’s second-richest man and has pledged to sweep out traditional parties, boost investment and keep out refugees. The anti-immigration candidate has a controversial record. He has been charged with fraud by police and critics are demanding that he be blocked from joining the cabinet. Supporters of Mr Babis see him as pro-small business, hard working, straight-talking and a man of the people – as emphasised by the politician when he was snapped personally handing out doughnuts to supporters at a recent rally. His centrist party, ANO, which means Yes in Czech, has gained almost 30 per cent of the vote according to the results that have been returned from more than 98 per cent of polling stations. This means ANO have gained nearly three times as many votes as its closest rival. With turnout around 60 per cent, the centre-right Civic Democrats and the far-right SPD came second and third with a little over 10% each. The ANO movement, set up and tightly controlled by Mr Babis, has won support from both the right and left with pledges to cut taxes and replace corrupt politicians. It also has called to seal Europe’s borders and not accept a single refugee in the country. Mr Babis offers a ban on Muslim immigrants. This anti-immigration support follows similar trends in neighbouring countries. Parties opposed to immigration scored highly in elections in Germany last month and Austria last week, and have fed scepticism toward Europe across the EU. Although immigration to the Czech Republic, a country of 10 million people, is virtually non-existent, fear of it has played a big part in the campaign, with nearly all parties pledging to fight any attempts by the EU to force the Czechs to accept refugees distributed across the bloc. Mr Babis’s success at the polls is widely seen as a blow to the EU. While it is not yet clear what the composition of the next government will be, far-right and far-left groups made gains while the incumbent centre-left Social Democrats (CSSD), saw its share of the vote tumble to become the sixth-largest party. Mr Babis wants the Czech Republic to create friendlier ties with Russia. If he becomes prime minister it will see the Visegrád Group, made up of the Czech Republic, Hungary, Poland and Slovakia, become uniformly pro-Russian. “Babis is not the Kremlin’s guy,” Ondrej Kundra, who’s written extensively on Babis, told the BBC. “On the other hand, he’s also not very pro-EU. He is somewhere in between,” added Mr Kundra. There have been demands that Mr Babis stay out of the cabinet because he has been charged by the police with fraud for allegedly misdirecting €2m in EU subsidies to a company owned by his children. He denies any wrongdoing. Other critics of Mr Babis have expressed concern about the level of power Mr. Babis would wield in office. The former agricultural tycoon is worth an estimated $4bn and controls a number of Czech media outlets. He has openly said he intends to make the position of prime minister more powerful if he is elected, even going so far as to propose in his recent book that he would abolish the Czech senate. He has pledged to run the Czech Republic “like a family business” and during one of his rallies this week he told crowds: “This is our last chance to knock down a corrupt establishment”. The central European country has enjoyed fast economic growth, a balanced budget and the lowest unemployment in the European Union, but opinion polls nevertheless show strong voter support for Babis’s ANO movement and other protest parties. ANO has maintained its rhetoric of opposition to the ruling system despite serving in the outgoing government together with Prime Minister Bohuslav Sobotka’s centre-left Social Democrats and the centrist Christian Democrats.